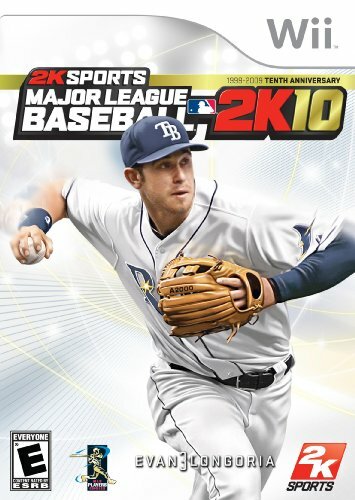 2K Sports Major League Baseball 2K10 brings baseballs most exciting match-up to life Pitchers vs. Hitters. Get ready to battle. Work the count, Total Control Hitting uses the Wii Remote to let you control your swings to hit for power, make contact or swing defensively. Work the corners, Total Control Pitching uses both the Wii Remote and Nunchuk to let you feel every pitch and put the ball exactly where you want it. Win over and over and over again, Franchise mode lets you play multiple seasons as your favorite team and try to turn them into a dynasty. Home Run Derby, outslug baseballs most feared power hitters. Fight for bragging rights, Tournament mode lets you and your friends stage your own tournament to settle who is the best.